Original cover by Ulises Farinas; IDW 2011. Ochopante's website is here. Erm...wow! I thought at first that you had the two covers the wrong way round. 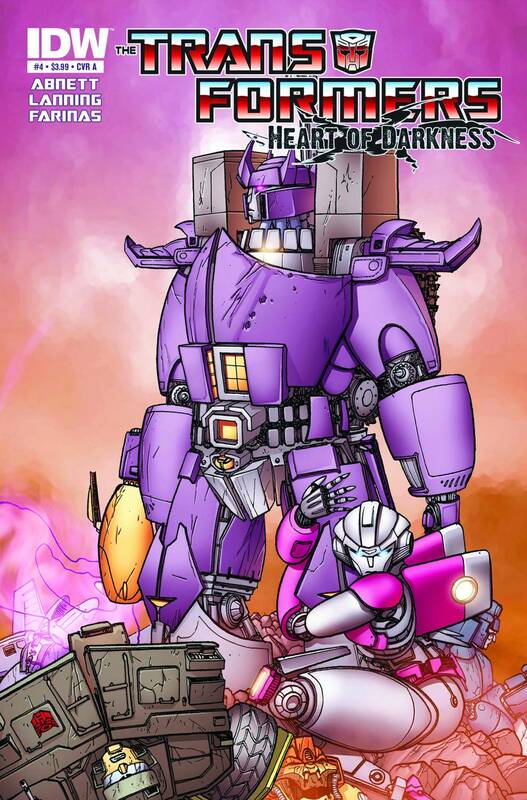 That original cover seems quite a strange choice palette wise for a book called Heart of Darkness, and the stylised Galvatron just... ugh! I much prefer Ochopante's version! Definitely prefer the covered version. It looks like it would fit right on the shelf with the 80s Marvel collected editions. The covered version makes me think of sleek science fiction movie posters from the sixties if someone were to give them a color-reprint. Fantastic mate! The covers look tight, and also, seeing how often you post content... how long does the average cover take for you or Ochopante to re-create? Thank you guys for your comments; And thanks Robert for post it! As a transformers fan i thought that i should do a transformers cover for my first participation. I lost most of the time finding the right colour for the background. agreed, ochopante's version is much better than the original! The robot harlot's thigh alone makes the original better. But really, if the color was stripped from each of these the original would be a hundred times more interesting. Ochopante's looks like a junior high school doodle. Both pieces are GREAT!!!... 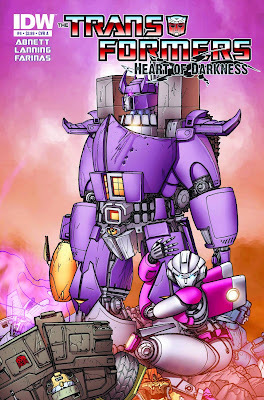 Exactly why this blog is so cool... you get to see different visions and interpretations... there are A LOT of qualities in both why TRANSFORMERS RULEZ!!! The original version is not bad, but Galvatron`s re-design is too much. Look at his shoulders! 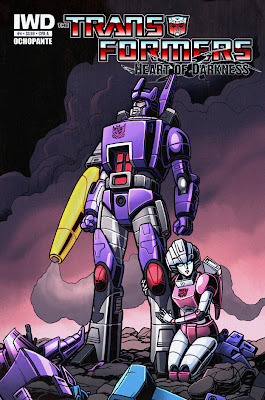 I don´t undestand what´s Arcee doing down there. She´s obviously isn´t a "Harlot". Ochopante's looks like a junior high school doodle.????? what??? Ochopantes cover is amazing! his designs are more classic and I love the colors and style! AMAZING COVER!